Hello. In my previous "Development of the Game: From an Idea on a Napkin to a Campaign on Kickstarter" publication I wanted to dedicate a separate article to the Kickstarter campaign. Now the game is already available on the App Store so I have finally got a chance to share some Kickstarter experience with you. 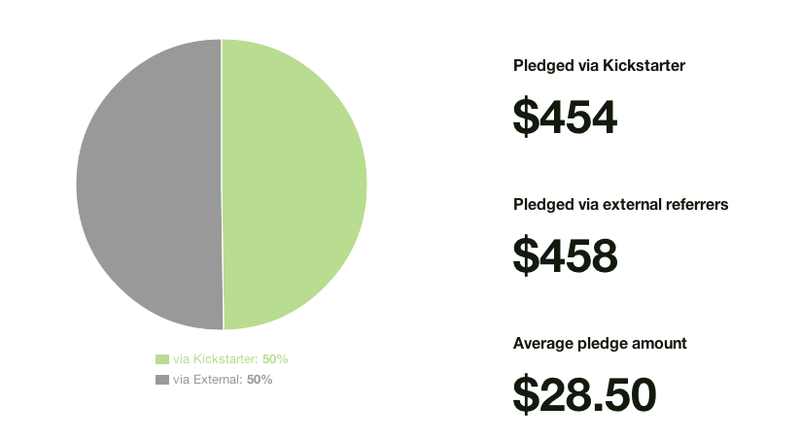 Crowdfunding is a very complicated way for iOS game fundraising. 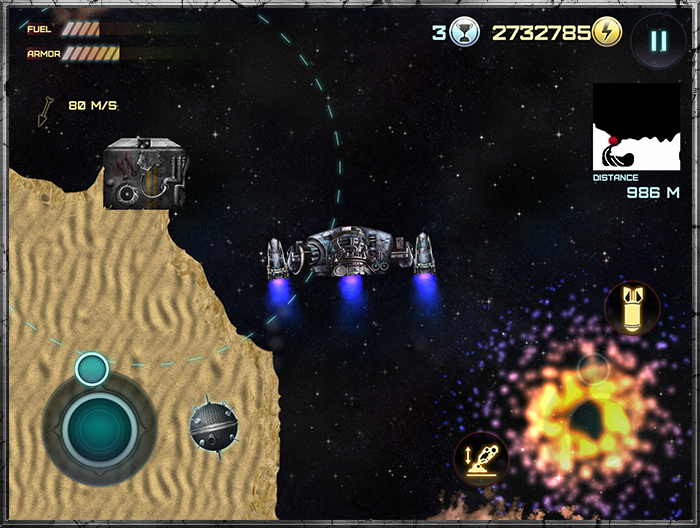 Kickstarter is not the best platform for mobile game promotion as such. People think that console and PC games are more creative than mobile for some reason. That's why PC and console projects are getting their goal more likely than any other crowdfunding campaigns dedicated to video gaming. The bottom line is: try to start spreading news about your game and its plans to raise funds with the help of crowdfunding before you start any actual fundraising activity; create social media accounts, develop contacts with press and bloggers, let the world know about you while everything is on the stage of idea and invest more in PR. In spite of our multiple attempts to raise necessary amount of funds within crowdfunding platform, our team brought the project live on their own. 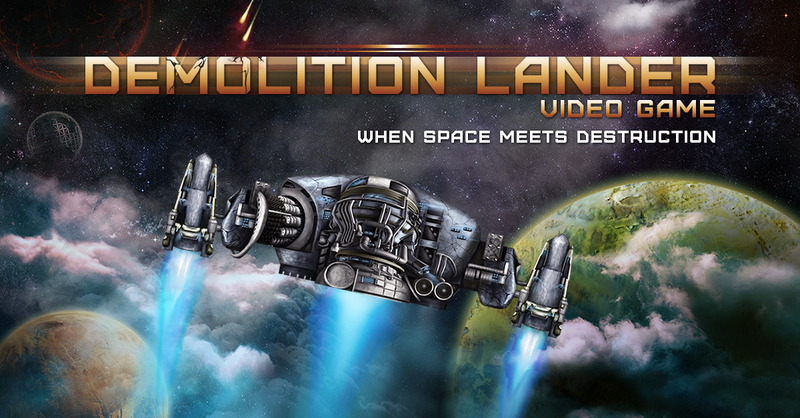 Now there are 2 games available on the App Store: o Demolition Lander: Planet Earth. Free version with only one planet and one ship available. 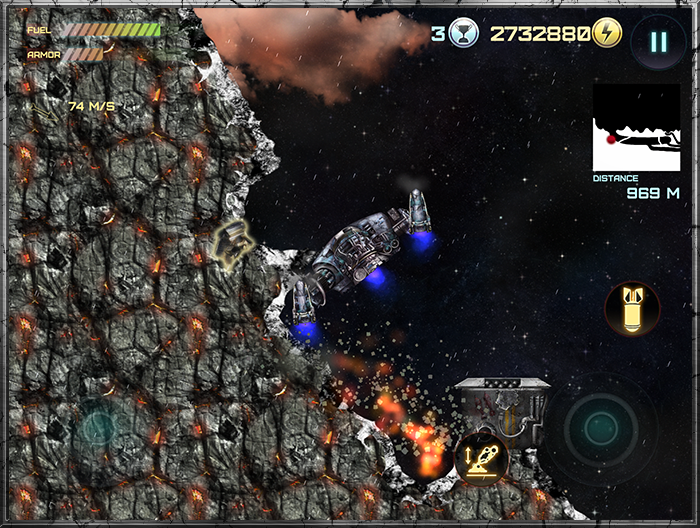 o Demolition Lander: Universe. Full version. Customers certainly don't react well to spamming. Are you sure your poor results weren't related to that? According to your article, Twitter shut your account down, YouTube threatened to, and Kickstarter almost shut you down... If you are spamming badly enough for those large companies to notice, maybe your potential contributors noticed also, and decided not to back your game because of the spamming. Spamming doesn't sit well with westerners - it comes off as pushy and manipulative. I had pledged $25 to the last campaign, but to be honest, if I had known you had resorted to spamming I wouldn't have pledged anything. I don't back anyone that resort to spam campaigns. While the article is helpful as it definitely shows that spamming to get your product out there will be met with serious action from Youtube, Facebook, Twitter, and Kickstarter. I agree with Servant of the Lord on this one. Our team did only one action that could be considered as "spam" - we were suggesting cross promotion with other Kickstarter projects in our second campaign. It was only one personalized message to a number of project creators. As for the YouTube account - our first PR manager did some false manipulations with traffic to the game trailer video and we only found out about this when received warning from YouTube. Same goes to the Twitter account - when it was closed - we decided to end our business with CrowdfundBuzz. We never asked for such ways of promotion and they didn't say in the first place they would be using them. Thanks for writing about your experiences. I thought your beta participation rewards were very strange and out of place. If you have a Beta program, it's either open or closed, but it's usually free as it helps you to get information you usually can't get by testing yourself. I don't understand the concept of offering beta participation for 350/2000$ ... it's like you're trying to milk some super fan whales without really offering something or having those super fans in the first place. If you don't want to give every one of your backers beta access, I think it makes more sense to either add beta access to a limited early bird reward level or add something like 50% to a normal level that gives you access to the finished game for beta access. Also confusing is that you have multiple levels with the same pledge price. If you want to do something like that, you could have added only the limited early bird levels to begin with and as soon as a level filled up, add the new reward with the same price, but less rewards. This would also have served to communicate the urgency to act fast, which is actually the function of these limited reward levels. Let's say I only want to spend the 4$ - if there was only the limited level, I might be more inclined to do my pledging now, but if I also get in unlimited, I can postpone my pledging to later... and forget it. 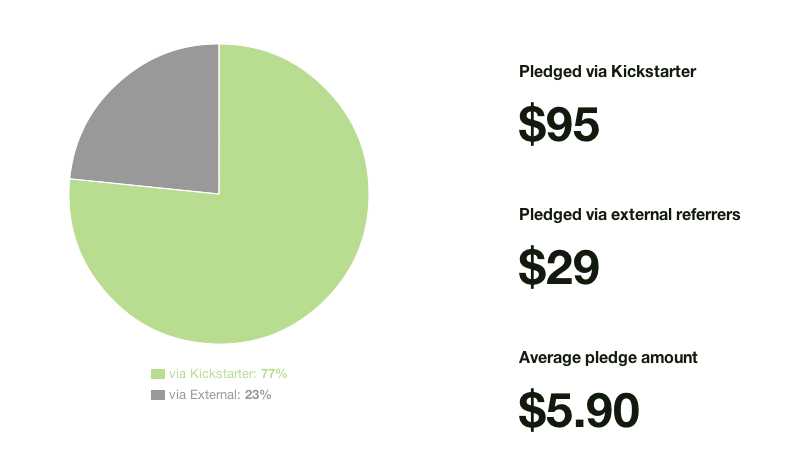 You can see that your backers were confused by the fact that 3 pledged 4$, but selected the normal instead of the early bird reward. My advice would be to take the time to properly research companies you plan to bring in for PR or anything else. I did a simple search on your Crowdfund Buzz and it failed the first thing I require for going into business with a company (it isn't certified by the BBB*), second is that it has tons of bad reviews for the past two years. Outside of that advice, I so far agree with the others and don't see the point of restating what they have already. BBB is the Better Business Bureau, but it may just be a US thing. It may be beneficial since CFB seems to be based out of Colorado. "People think that console and PC games are more creative than mobile for some reason"
It is because those games usually offer more than mobile games and mobile games are of an area infested with F2P games. Selling a mobile game is an impossible mission already (not to mention being noticed part) , no wonder crowdfunding it is not easy as well. Posing as an American company (Denver Co.) when you are really in Kharkov, Ukraine is also a really good way to come off as spammy and/or a complete scam. A google search of CrowdFund Buzz shows mostly articles calling it a scam. Have no idea about Crowdfund Buzz but it is not something extraordinary to have a US company by non-US for KS purposes , so see no reason to call it as scam. I was referring to the makers of the game. Their kickstarter says USA but they are not from nor do they have any presence here. Crowdfund Buzz IS in the USA but all reviews online say scam. Oh, you mean "project by" part.